Dutch adventurer Wim Hof is known as "The Iceman" for good reason. Hof established several world records for prolonged resistance to cold exposure, an ability he attributes to a self-developed set of techniques of breathing and meditation—known as the Wim Hof Method—that have been covered by the BBC, CNN, National Geographic and other global media outlets. Yet, how his brain responds during cold exposure and what brain mechanisms may endow him with this resistance have not been studied—until now. 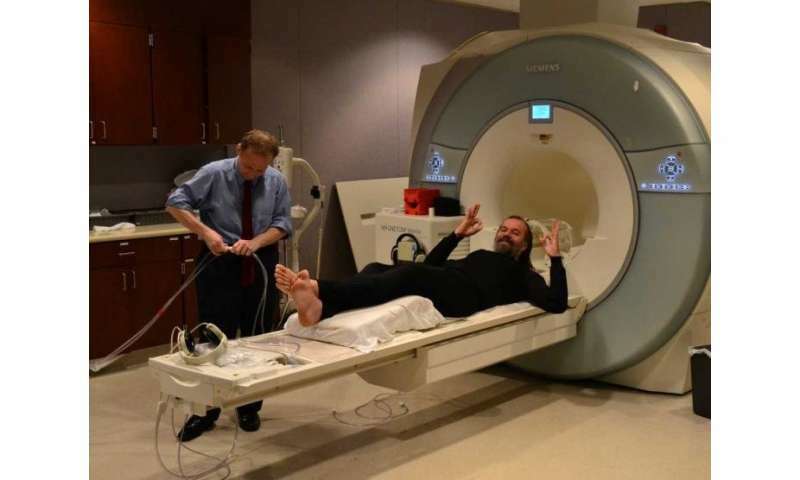 Over three days, Muzik and Diwadkar studied Hof's brain and body functions using two distinct imaging techniques—including functional magnetic resonance imaging (fMRI) to study his brain and positron emission tomography (PET) to study his body. During the studies, Hof wore a specifically designed whole-body suit the researchers could infuse with temperature-controlled water while the imaging data were acquired in order to relate changes in his biology to cold exposure. "The willful regulation of skin temperature—and, by implication, core body temperature, even when the body is being stressed with cold—is an unusual occurrence and may explain his resistance to frostbite," said Muzik, professor of pediatrics, of neurology and of radiology. These last set of results are striking—not only for what they reveal about The Iceman, but even more so for the implications of the relevance of the Wim Hof Method for behavioral and physical health. The researchers hypothesize that by generating a stress-induced analgesic response in periaqueductal gray matter, the Wim Hof Method may promote the spontaneous release of opioids and cannabinoids in the brain. This effect has the potential to create a feeling of well-being, mood control and reduced anxiety.